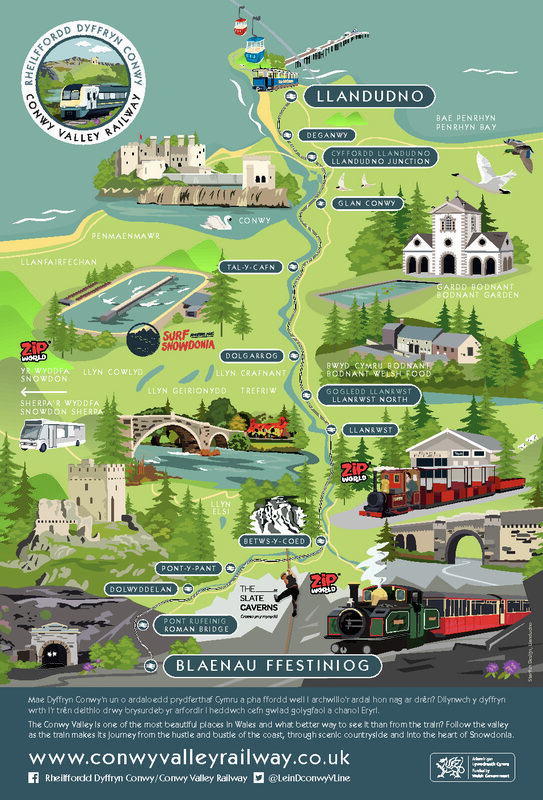 13 Stations and 14 walks the Conwy Valley Railway is ideally situated to start or end your walk. You are only a short train journey away from panoramic views across mountains, beaches, lakes, forests and valleys, stretching from the North Wales coast to the Snowdonia National Park. Experience challenging hikes, family friendly rambling and historical trails, discover ancient rural sites, hidden treasures and the beauty of North Wales. Looking for a day out in the Conwy Valley? Getting here is easy! The Conwy Valley Railway is linked to the National Rail network with connections at Llandudno Junction from all mainline stations. These walks are a great option for a day out or a weekend away with fresh air and exercise. Where will you start your adventure?